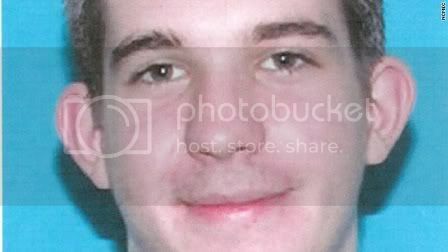 Joe Pichler was last seen by a friend on January 5, 2006 in Bremerton, WA. He had spent the evening playing cards with some close friends. Everyone who saw him that evening described Joe as in a very good mood. They say he was not showing any signs of distress or depression. Several people tried to reach Joe later on and were unable to reach him so they reported him missing. On January 9, 2006 Joe's vehicle was found abandoned near the Wheaton Way and Sheridan Road intersection in Bremerton, WA behind a restaurant called "Taqueria Los Cazadores". It is located at 2805 Wheaton Way. Joe Pichler has not been seen since. Police found a note which they "thought" was a suicide note inside the vehicle. Family members, however, described the note as only a poetry and rhymes, (Joe is really an artist through and through, writing poetry and drawing were things he's always loved and always done.) There is NO evidence of what's happened to Joe. No evidence was gathered. Joe's car was not processed by LE, nor was his apartment. How can police come to ANY conclusion without evidence, or completeing interviews with "ALL" of the friends Joe was last known to be with? Police also believe Joe possibly jumped from a nearby bridge. This theory also seems impossible due to the fact searchers did not track Joe's scent anywhere near the bridge and many feel he is NOT in the water. Family fears he has met with foul play and are desperately asking the public for help in searching for their missing son. If you have ANY information or even hear a rumor about Joe Pichler please contact the TOLL FREE number below. (Case Number: B06-000286) You may remain anonymous if you wish. Tips/information can be given by calling- The National Center For Missing And Exploited Children (NCMEC) 24 hr hotline- 1-800-THE-LOST (5678) Joe's case manager at NCMEC will receive any new information. Calls to NCMEC may be anonymous. Theres a lot of information but just no answers yet for Joe and where he might be. Tarot will try to look at the situation as best as it can and will likely cover some information already known. Tarot works in past present and future time pockets so sometimes the information is jumbled and not in a correct order. However, I hope it will help. Tarot is not 100 per cent accurate and because of this I ask you to go to factual sources for solid information. The first thing I did was blow up Joes picture on my computer and found myself having a smile in exchange with him and I wondered what had happened to this really nice boy.5 years ago. I received the Magician . Ask a simple question and....you get a disappearance!! Maybe it was,nt quite what we think then on the day Joe disappeared? Magicians can make themselves disappear you know, it is not always because of someone else. However, The Fool sees him setting out North West that is a definate direction and it does seem that Joe has some things with him because the Fool never goes off on a journey without his 'hanky packed'. That makes me feel that he had a wallet and some belongings with him and that can be clothing or phone or anything he chose to take. He was,nt empty handed. The Fool is setting out on a journey AND tarot has asked precisely on the timing of 4.15 am. Magicians are WILL - Willpower - and often when a Magician is seen you know that its somebodys will that something happens. Therefore it was the WILL of someone that Joe disappeared. Was it his own or what ? he is standing near to a note that has been written, and that appears to be part of his story that a note was found in his vehicle. If you run further along the tarot you can find that car - and that is what happened so Im satisfied tarot is following so far. At this point I cannot find an 'assailant'. There might be one, but I cant see one just yet because even when you get to the Chariot and even when you get to Strength that stuff is all pretty physical and there is no ebbing of strength or illhealth on that run then we get to the Hermit and often when the Hermit appears like this, it just means that the person wants to take some time out on their own and they want to go and see someone they have not seen for a long time or that it an older person such as an older friend or even relative is part of this. Maybe it is just taking time out as from this first card I cant see anything untoward - yet. except the note...but it does seem like he intended to go off on his own and was,nt dragged off by anybody that I can see. I have not read this lads story as yet as it affects the tarot, just a glimpse of the first few lines and thats enough But, perhaps there was something sexual in an older person who lived on their own - all a possibility or that there was some issue with someone who was older. It seems to be here as does a hill and somewhere 'out of the way'. Hidden things perhaps even secret things are here. The Fool shows that Joe was very arty, painting, drawing, writing and Music are in this card - and he may have had aspirations that way - maybe even deep thought out ambitions and might have decided that 'one day' he would make his mark. Getting the Magician tells me, he wanted to control his OWN life and perhaps he felt he could,nt express himself outwardly enough. So took things in his own hands??? Joe was a risk taker Im afraid - in that frame of mind, his would have been one track. Asking where Joe is ( tarot does,nt always give us precise answers in this) we receive the Moon reversed. I dont always like the Moon reversed because upright it can suggest that some has 'passed over' but I do see three people maybe something clandestine in this card. So Im looking at a place where I see a THREE in particular. Notice that was on the Empress card. The Moon is often a card of illusions, but reverse it and we just get the dawning of a new day. I am not sure if we can get a new day if we are deceased?? Notice that the moon card is number 18 and there is a reference here to being UNDER 18 Joe was 18 when he went missing. Is he telling us that he has left the first 18 years behind? I feel that there is some kind of deep secret that I am not able to see here - and also lots of untruths that have not surfaced. There can never be untruths unless people or persons have told lies - that is how you get an untruth so perhaps all the situation was not on the table in the first place??. The moon is clearly by the riverbed when its upright and you would feel that a person could be in the water, reversed perhaps they are submerged its all possible. One thing that stands out to me are the two towers and I wonder if New York was ever important to Joe - similarly we have a bridge in the picture which forms when the card is on its head. Clearly there have been mis doings in respect of Joe and they are going to be revealed. There is no direction on the Moon it is always ahead - trying to ask where Joe is - I am being met with a little resistance here as it is next to a family card and perhaps Im being asked not to press this for the moment. There is definately inaccurate information that has surfaced over Joe. I thought perhaps I would look at the find card instead and see if anything can come forward with this. So here is our answer which is basically that 'when things are put to right and karma restored ' you will find him. The Justice card links right up with the The High Priestess with her secrets and her half written notes. Who wrote those notes?? was it really Joe? and if so were they misconstrued ? The Justice card has 11 sitting on the card could mean 2011 might mean 11 years or just might mean 11 for something else. But, it is next to the hanged man and of course it is next to the Wheel of Fortune where someone takes a trip and they control their own fate. There is a law trial here and judges that I can see in the Justice card. Does Joe want someone brought to justice or is there some court case that will reveal where he is?? or indeed does a court protect him?? all good questions but clearly this is a matter of Justice that looms. Until that Justice comes he will not surface. This is a brief synopsis of tarot for Joe but I will read the information about his case now and see if there is anything that might expand tarots given information. Perhaps I may be able to add more later. I feel the need to leave it be for the time being and come back to this later. Dee has compiled a map which OUTLINES possibilities of all the areas that Tarot may be touching on or may be describing. Please bear in mind that this is not guaranteed and Tarot can mean somewhere else entirely. I think that either escaped or was so well hidden.Quarrel with his brother or friend.It is possible that he changed identity.